Prof. Ralf Kaiser is founder and CEO of Lynkeos Technology Ltd. Ralf initiated the Sellafield Ltd. founded Muon Tomography project in 2009 at the University of Glasgow, which developed the Lynkeos Muon Imaging System. 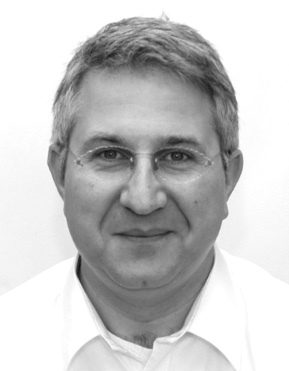 Ralf has more than 20 years of experience in detector development, algorithm and software development and project management. His background includes 7 years in international science diplomacy as Head of the Physics Section at the International Atomic Energy Agency in Vienna, the coordination of EU projects involving 2000 scientists and flying drones for radiation mapping in Fukushima. Ralf is a PRINCE2 Certified Practitioner and has completed the Financial Times Diploma for Non-Executive Directors. 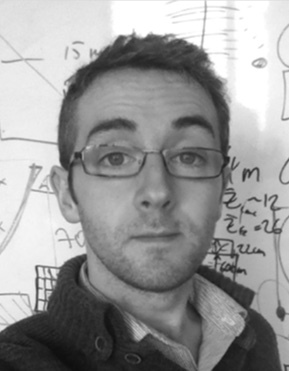 Dr. David Mahon is an award-winning young researcher (Elsevier Young Researcher of the Year, 2013) with over 8 years of experience in the field of Muon Tomography as part of the Sellafield Ltd. funded R&D programme that spawned Lynkeos Technology Ltd. He was appointed a Director of Lynkeos in January 2017. Currently, David is also a STFC Innovation Fellow at the University of Glasgow, having completed a Scottish Enterprise sponsored Royal Society of Edinburgh Enterprise Fellowship in 2017 to commercialise the Lynkeos Muon Imaging System. Throughout the project, David has been responsible for software development including 3D imaging algorithms and data analysis.